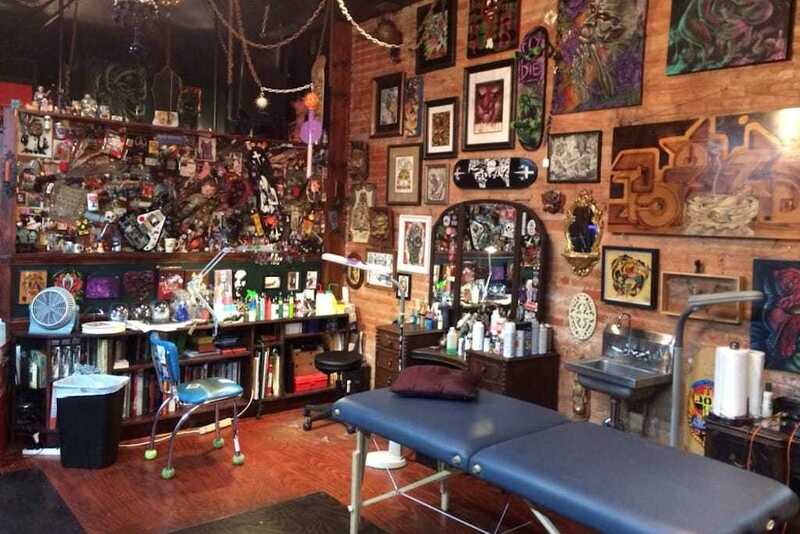 For decades, the epicenter of Philadelphia’s tattoo culture was a cluster of famous tattoo shops just off South Street—one of the top Philadelphia attractions in its own right that’s long known as much for its counterculture appeal as its heavy foot traffic. 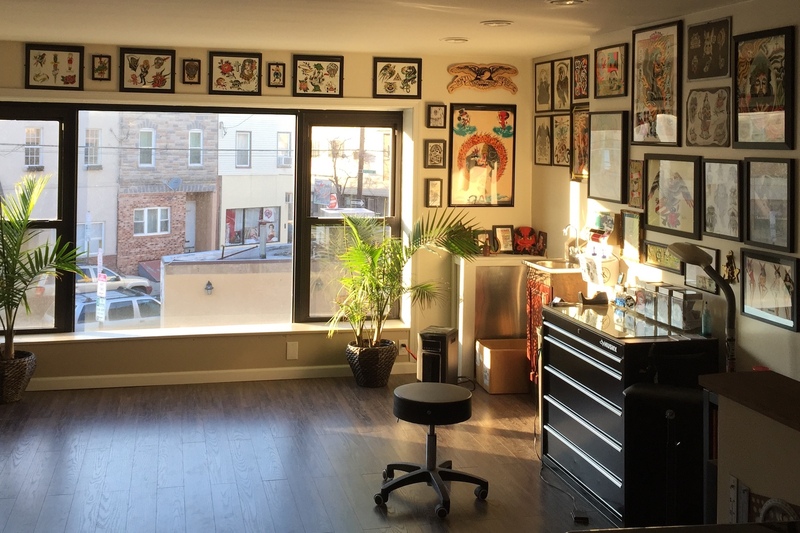 In more recent years, talented artists have branched out to the farther reaches of Philly neighborhoods, setting up independent operations and building audiences in Fishtown, deep South Philly, West Philly and beyond. 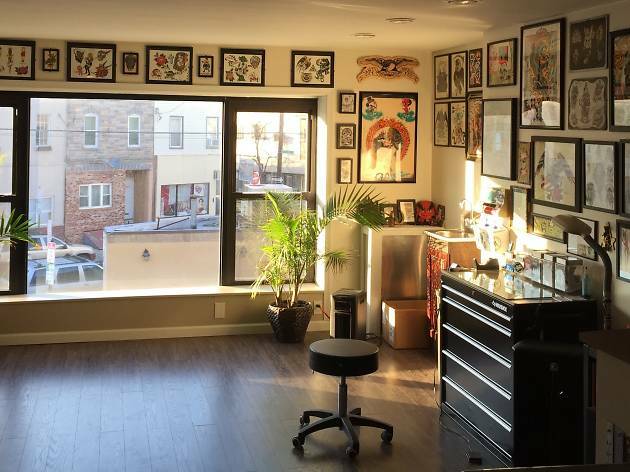 Here are our picks for nine of the best tattoo shops Philadelphia has to offer, boasting diversity in terms of art style, flexibility and overall approach. 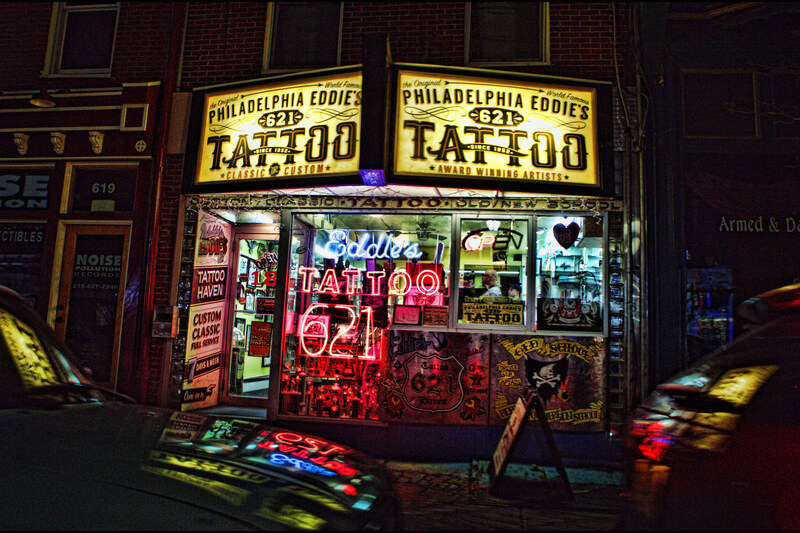 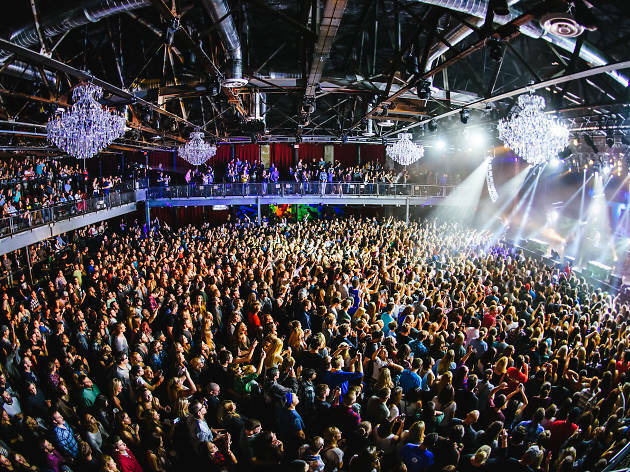 When the ink is dry, toast your latest addition at one of the best bars in Philadelphia, and keep the night going with dancing at one of the top Philadelphia nightclubs. 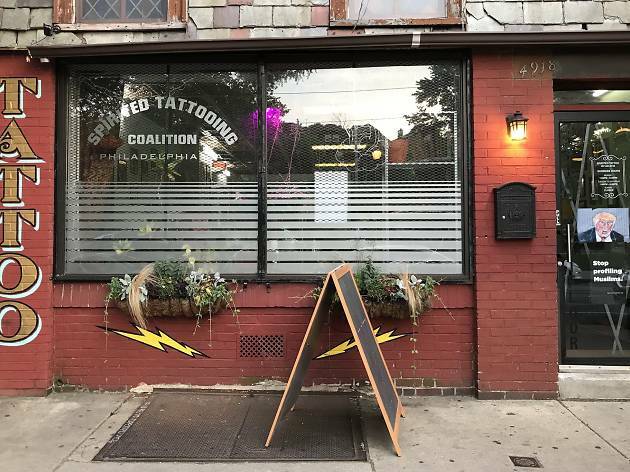 A quick glance at this shop’s one-of-a-kind tropical facade, complete with a grass-skirted island girl saluting the sun, might suggest a place that pours Polynesian drinks. 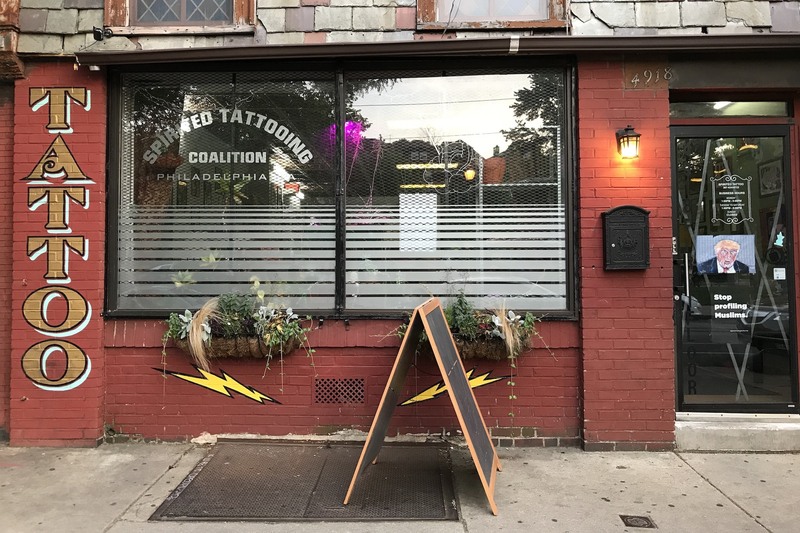 In reality, it’s a full-service tattoo and piercing establishment (and occasional art gallery) that’s been a part of the Philly scene since 2002. 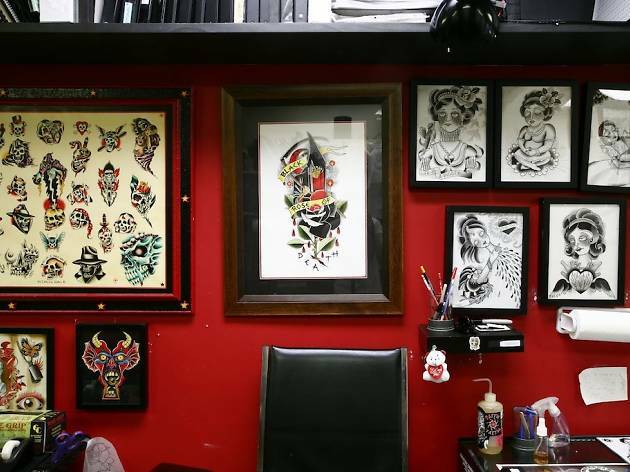 No Ka Oi, which translates to “the very best” in Hawaiian, features a rotation of 30 tattooers. 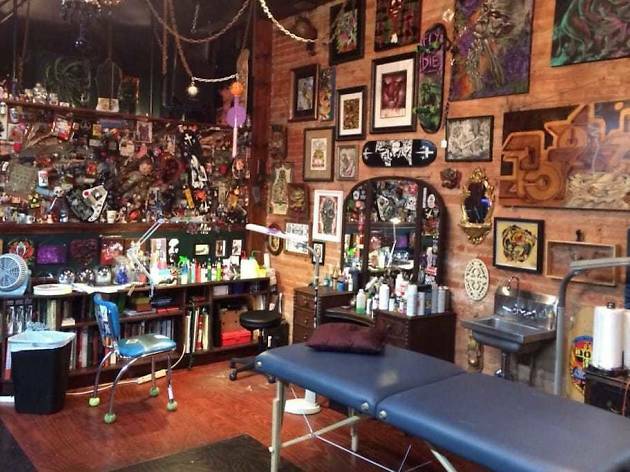 In the South Street tradition, they are happy to accommodate walk-ins. 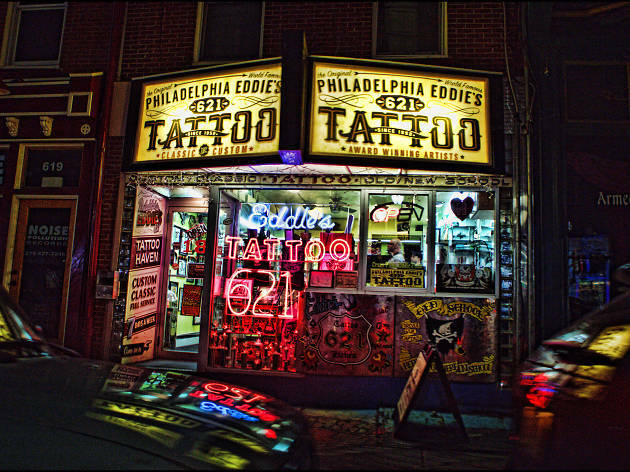 Perhaps the most instantly recognizable name in Philly tattooing, Eddie’s is a revered shop that has held down its Queen Village corner for decades. 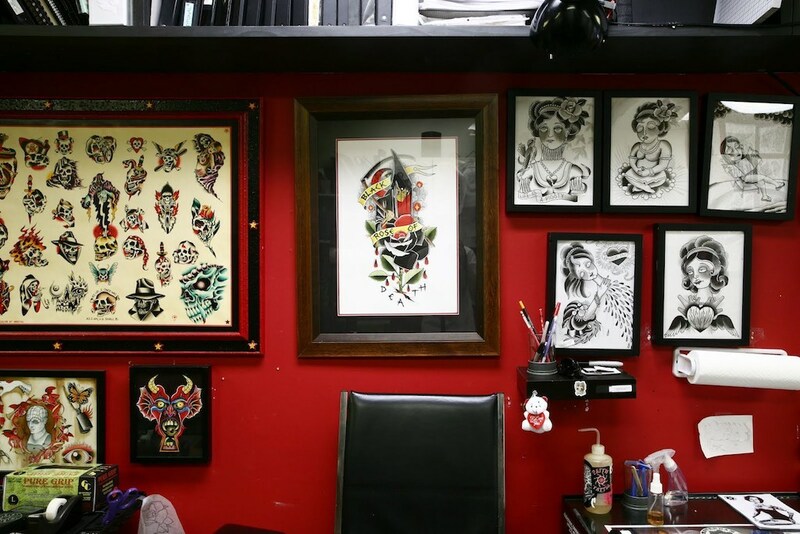 The shop’s catchy slogan—“old school before you were in school”—says it all: They do things a certain way here, as dictated by “Crazy” Eddie Funk, the shop’s pioneering and highly respected namesake. 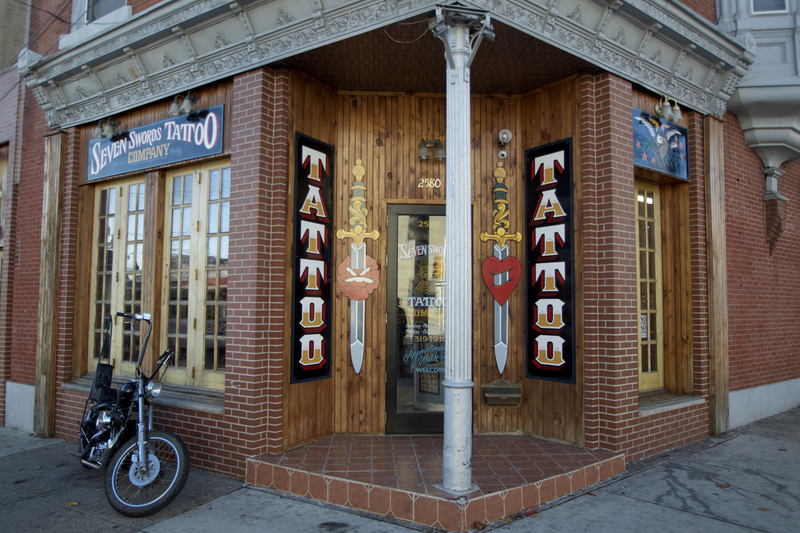 Though Funk passed away in 2016, his outsize reputation and influence on American tattooing as an artform lives on in this flagship shop. 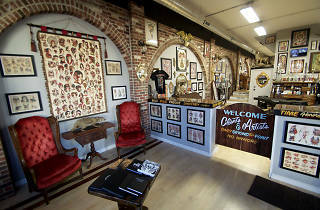 Established by Jason Goldberg in 1999, Olde City has earned its reputation as a standard-bearer for the Philadelphia tattoo scene, offering work "by appointment or impulse" from an instantly recognizable storefront in the heart of the historic district. 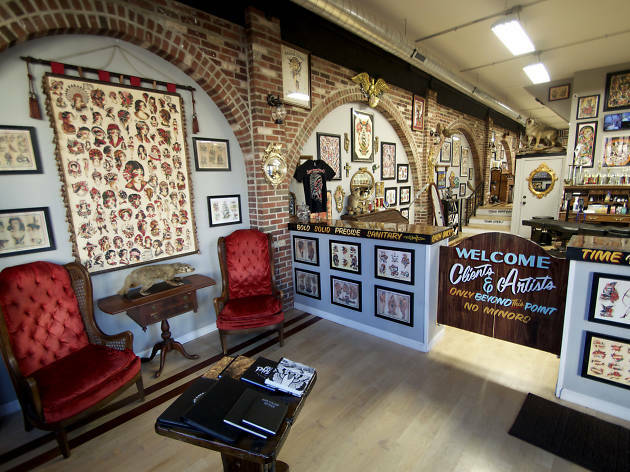 Olde City has the look and vibe of a classic shop, and the highly experienced artists to back it up. 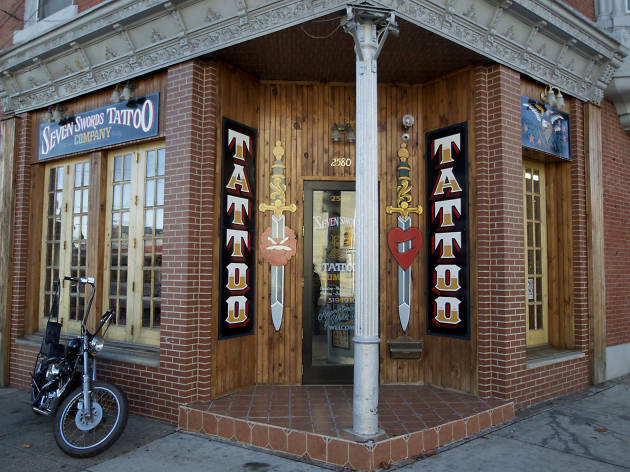 Goldberg and Co. have a classical bent to their style, though they are open to all custom jobs. 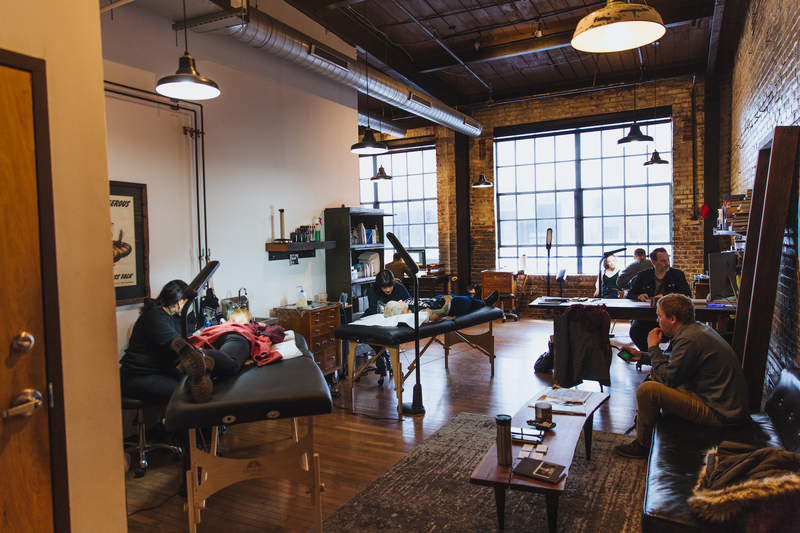 Situated in an airy exposed-brick space in Fishtown’s 2424 Studios, True Hand is a tight operation established by tattooer Mike Ski and designer Jessie Jay. 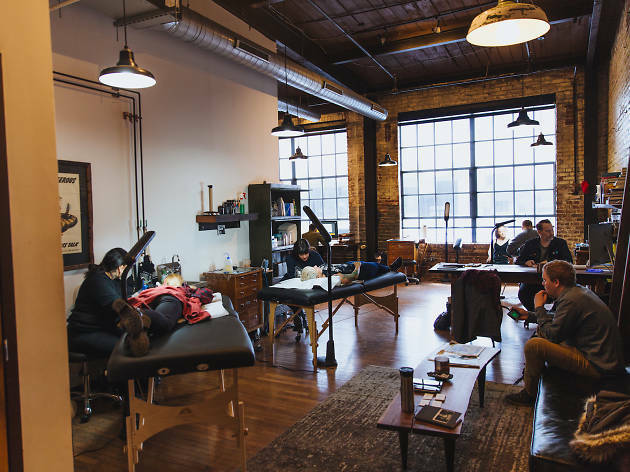 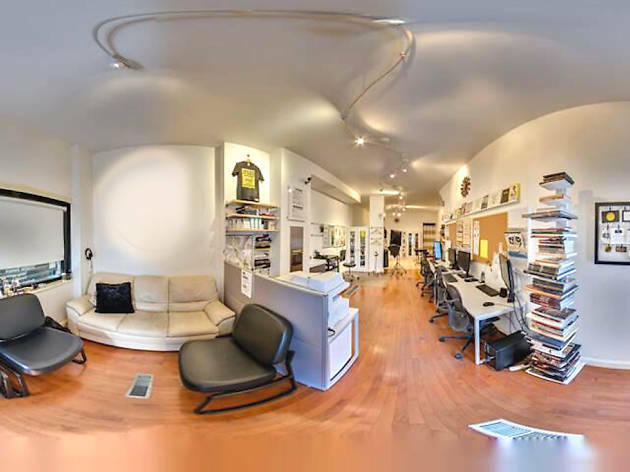 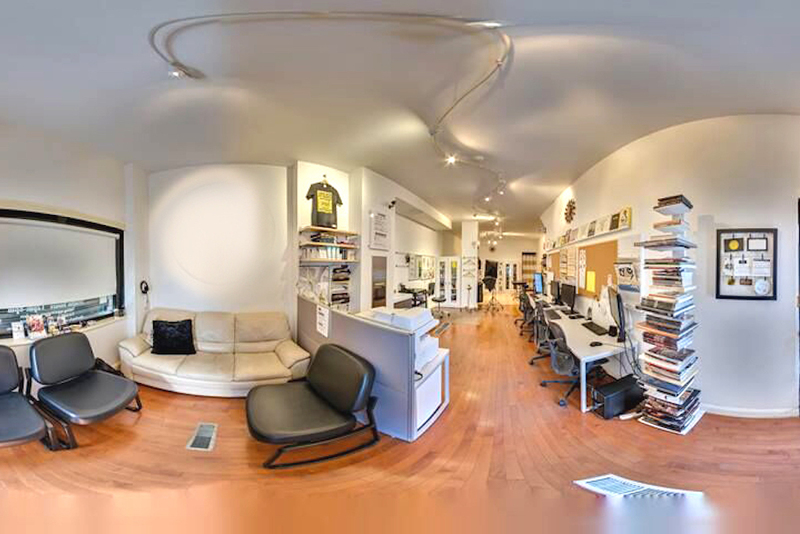 The appointment-only body-art operation, home to six artists, doubles as a graphic design studio that contributes logo, branding and concept work to local and national businesses—from pizzerias and guitar shops to cafes and clothiers. 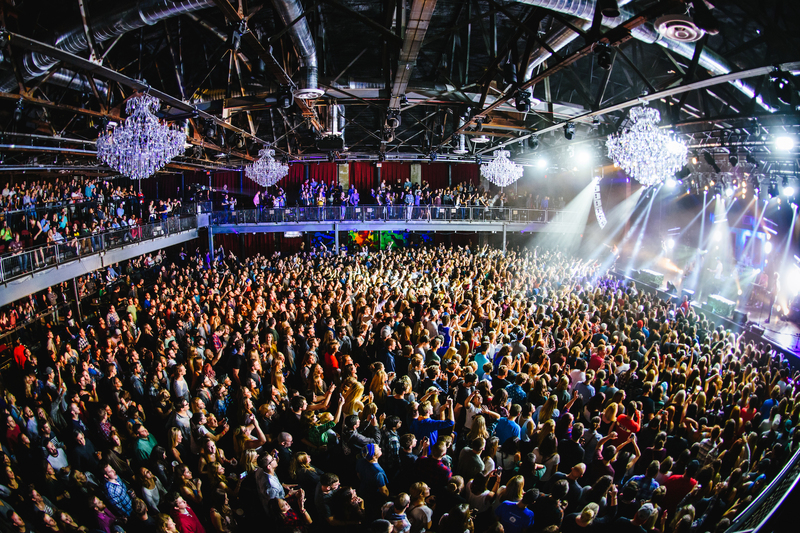 In the mood for tunes?